Cloud storage services, like Google Drive, Dropbox, OneDrive and so on, exist to make our lives easier. 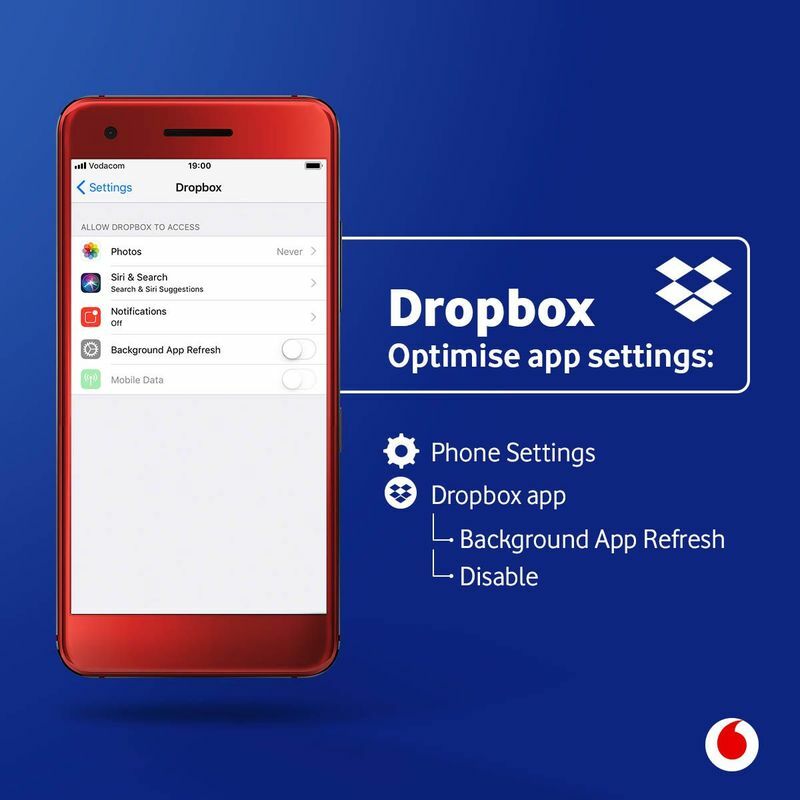 There is nothing as comforting as knowing that your photos, videos, documents, music and all the other data on your smartphone are safely stored away somewhere on the cloud. However, cloud services can be a big culprit when it comes to data use. 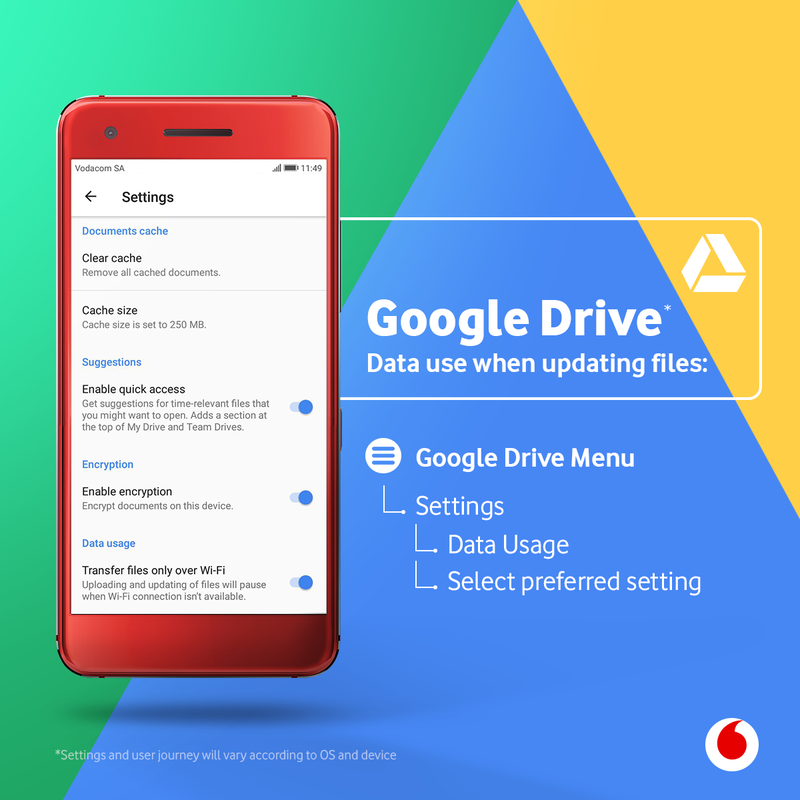 Often, your phone is set by default to backup every photo you take or receive, every message or email to the cloud, so make sure you're aware of how your phone is backing up your data to manage it effectively. Android: Launch Google drive > Navigate to Settings (top left) > Settings > select preferred setting. iOS: Launch Google drive > Navigate to Settings (top left) > Settings > Photos > make sure Auto Backup is switched ON > select preferred setting. Navigate to Settings > Cellular > select preferred setting. 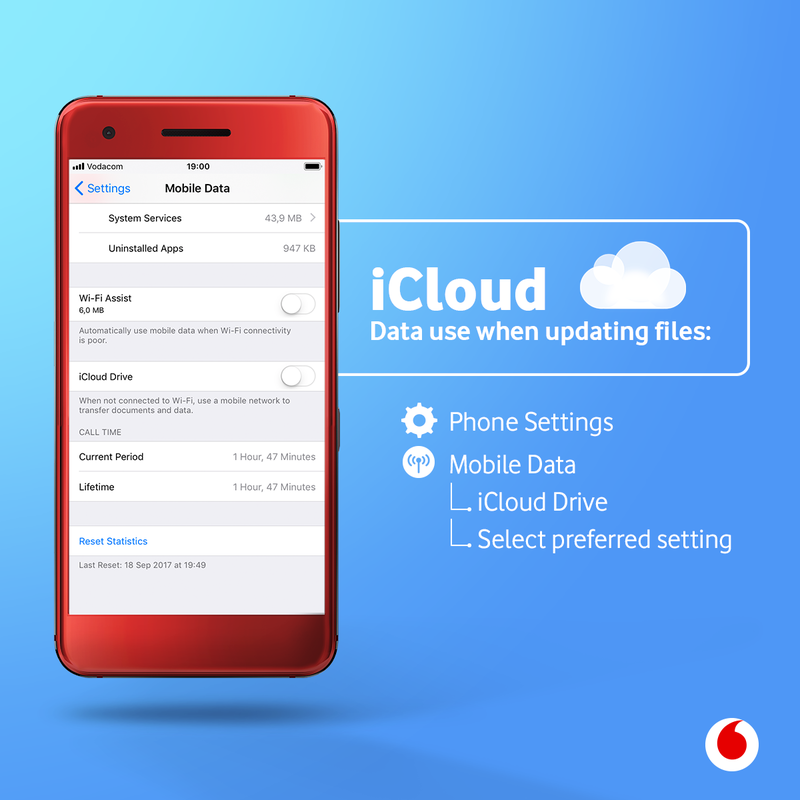 This may prevent iCloud Drive from transferring documents and data over mobile data.